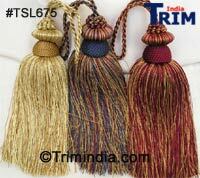 Classic Multi Color Tassels are available as low as $0.75 ! Want more Designs See Our Whole New Tasel, Key Tasel, Small & Large Tasel Collection ! We specializes in Home Furnishings and Home Decor accessories. Our quality, prices, and selection can not be matched. 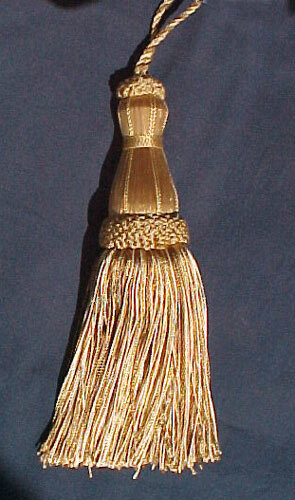 Manufacturers of cords, elastics, napkin rings, trimmings, chair tie backs, Our catalogue includes a whole range of beautiful designer tie-backs, we also supplies graduation products single honor cords, double honor cords, interwined honor cords, plain stoles, one side embroidery stoles, two side emboidery stoles, Greek stoles and logo stoles. we make a online custom stoles making tool that helps you in creating your graduation stoles.